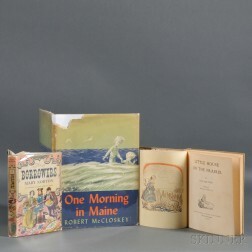 Save your search - find out immediately when "Laura Ingalls" is available at auction! Wilder, Laura Ingalls (1867-1957) Little House on the Prairie. 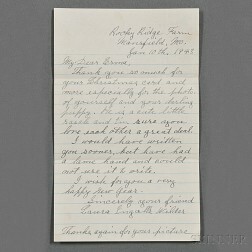 Wilder, Laura Ingalls (1867-1957) These Happy Golden Years, and Two Autograph Letters Signed. Wilder, Laura Ingalls (1867-1957) Autograph Letter Signed, 10 January 1943.